Hey guys! 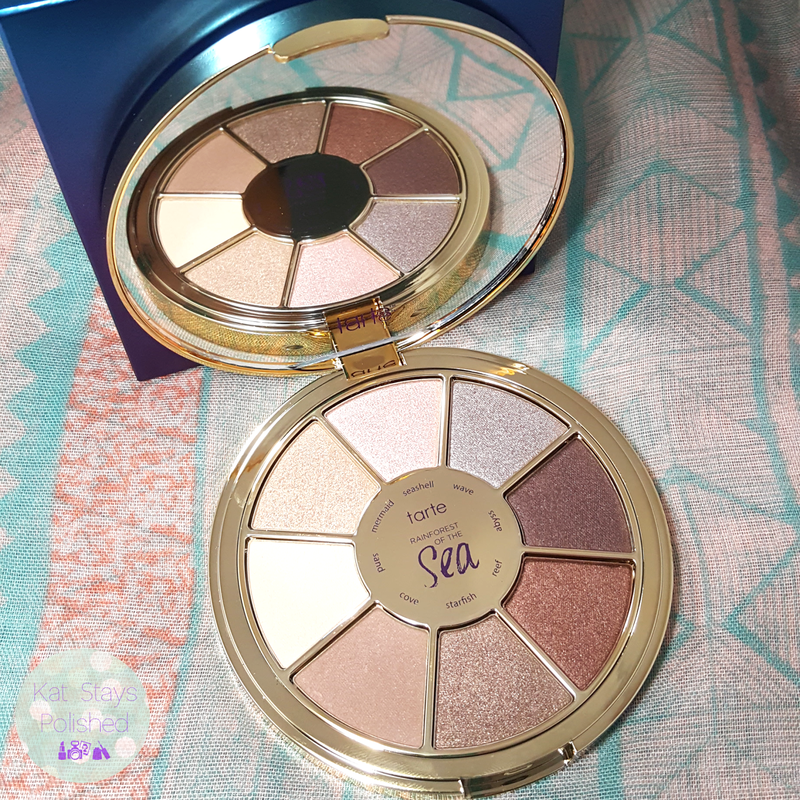 So, I had been eyeing this palette for quite a while now and I'm so happy that I finally got it. 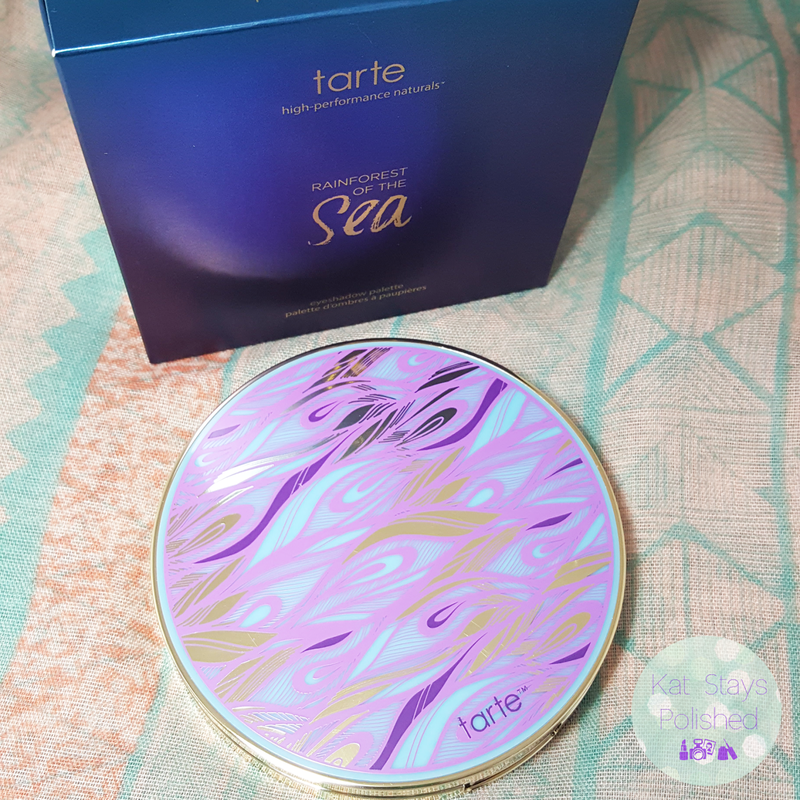 Of course it was during the 15% off VIB window so...hello - it was a no-brainer! I have a few quick photos below for you to see. It's a very neutral palette, which was fine for me. I don't have a problem getting palettes that seem similar to ones I already have. Besides, the packaging on this thing is GORGEOUS! Come check out the Rainforest of the Sea! First of all, the cover of this palette is absolutely stunning. The awesome swirls of the purple, blue, and gold - makes me want to be a freaking mermaid! When you open up the palette, you are faced with an amazing collection of both matte and shimmer shades that although fall to the neutral zone, can still bring out your best natural eye look. 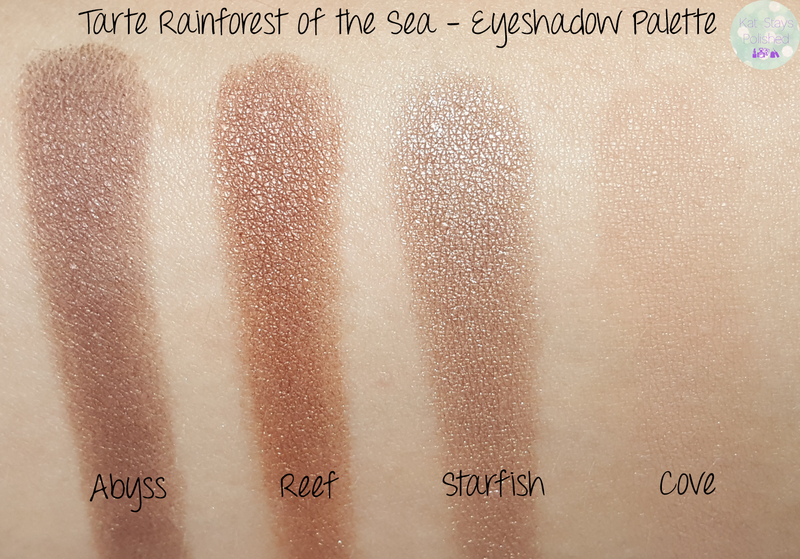 The names of each shade, of course, represent parts of the sea from the Sand to the Reef. Which one draws the most attention for you? Here are my quick swatches starting with Sand. These are all shown without any primer underneath. Seashell and Starfish are my two favorite that I'd probably use most often out of this palette. Have you picked up anything from the Tarte Rainforest of the Sea collection yet? If so, what else from the collection should I pick up? Let me know and maybe I'll grab it soon! I picked this up, too. 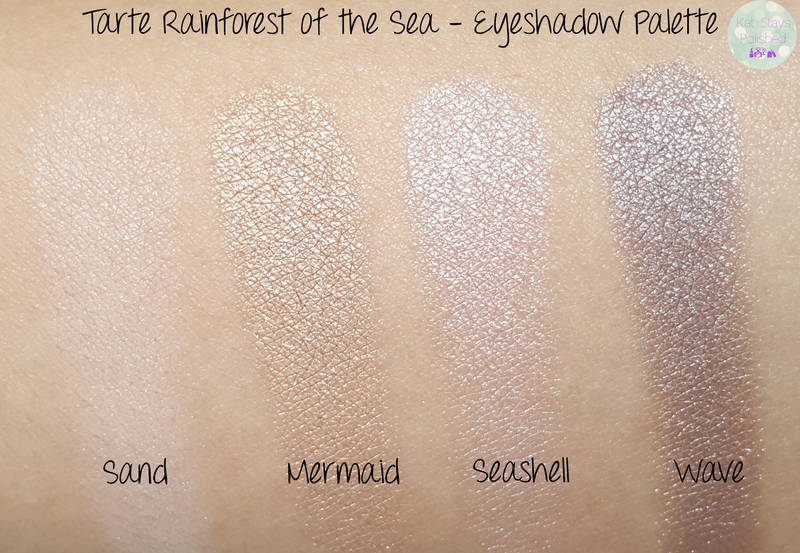 I love the neutral shimmery shades, but I was hoping for some blues or greens - hello, Rainforest of the Sea? That name doesn't scream browns and neutrals to me. Some really nice neutral colors! It's a very pretty neutral palette! 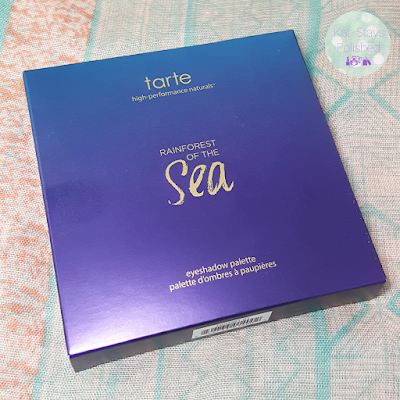 Love this, you should also check out the dual-ended lipstick/glosses they are great! 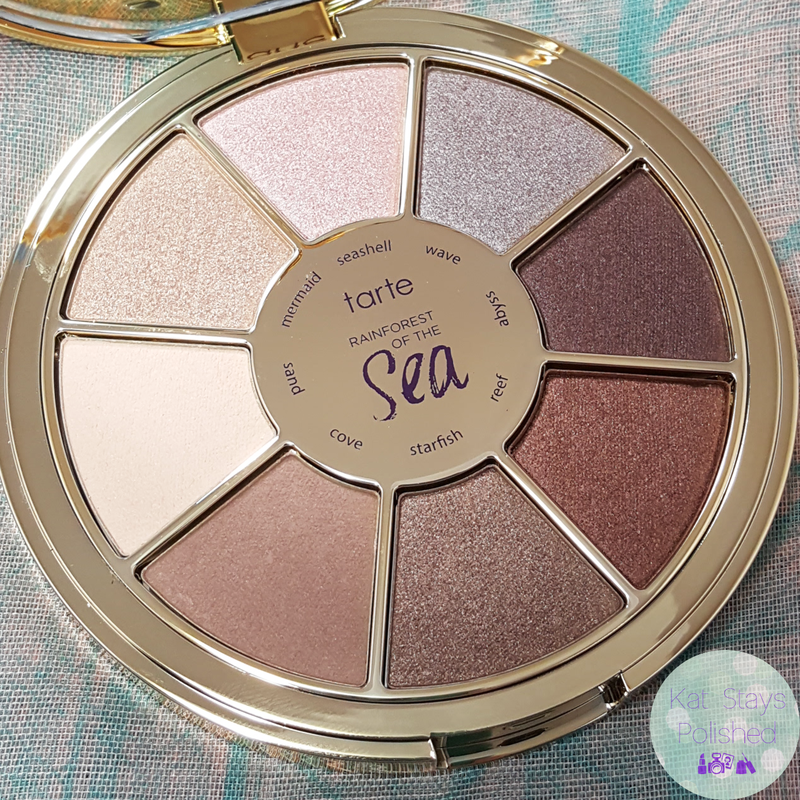 I love this palette and wear it constantly. The only shade I can't wear is Reef since it turns too orange on me. But I'm in serious trouble because I might just use up Seashell and Starfish. I have a ton of stuff from this collection and absolutely love it!! 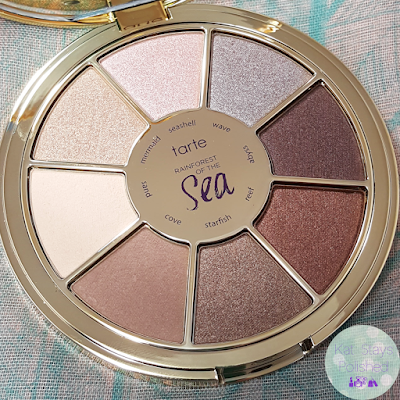 I'm loving the seashell color and may have to but the palette just for that one color.